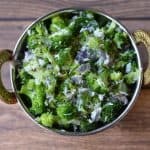 This is a very simple stir fry recipe prepared with broccoli in Indian style. Heat a pan with oil, temper the mustard seeds ,cumin seeds,hing and let it splutter for few minutes. Add in the green chillies,curry leaves and saute. After few seconds add the chopped onion and saute till the onions are translucent and light brown.Takes appx 2 minutes. Next add the broccoli,salt and Stir-fry on medium flame till they soft and cooked. Turn off the gas and sprinkle shredded coconut and combine well. 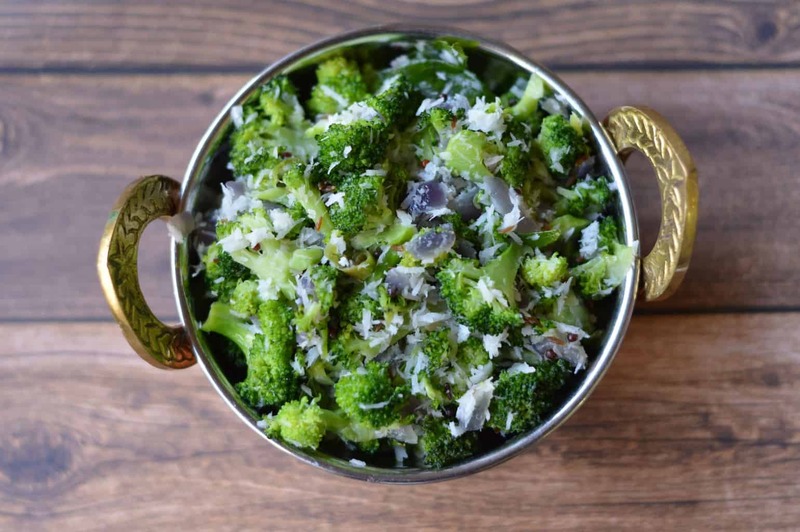 Serve the Broccoli Poriyal( Broccoli Stir Fry ) along with Rice and rasam. 1.You can also Stir-fry on high flame till they are 90% cooked and they have still little crispiness left.